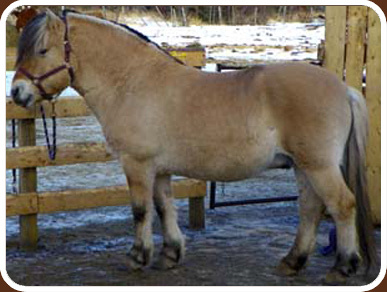 Call name Rocky or Rockstar, was born on June 1, 1997, he is gentle with everyone, including the mares. He loves his babies, and is very gentle with them as well. He came to us from Saskatoon, Saskatchewan. Stallion Breeding Fee is $500.00 to approved mares. Live Cover Only and No live foal guarantee. Call name Aksel or Akseloni, another one of our stallions, was born on April 23, 2006 and is quite a character. He is very good with the mares and babies as well as his people. He will be trained to drive and ride in the near future. 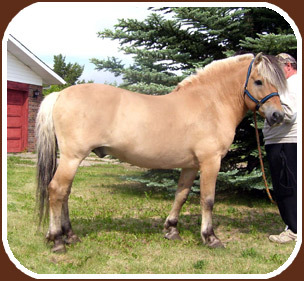 Aksel came to us from Lost Trail Ranch in Paradise Valley, Alberta.